This morning you will see the cutest thing on the internet. 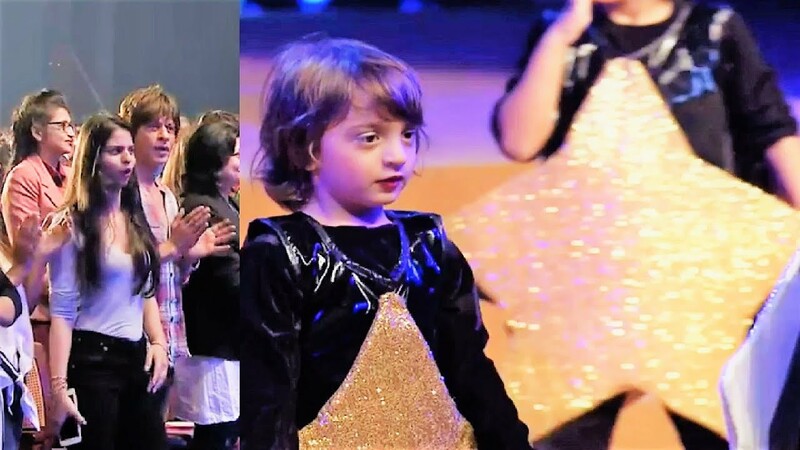 AbRam dances to dad Shah Rukh Khan’s song at the school event, SRK can’t stop himself. AbRam dance to Shah Rukh Khan’s song Yeh Taara from Swades on his Annual Day. The film is among SRK’s most appreciated films and the actor was seen dancing with a bunch of children in this song. AbRam and his classmates, we have to say, were even better.He also danced to nursery rhymes. The family was so overwhelmed by his dance that they were seen standing up and dancing along. Previous articleLatest Photos of Kareena Kapoor Khan- Red Hot Queen..